Are your multi-residential energy bills piling up? There is still time to install Ecovena Thermium this heating season! 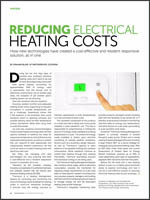 Reducing Electrical Heating Costs - Is technology the answer? During the hot and hazy days of summer, your building's electrical heating costs don't tend to be top of mind. But maybe they should be? With space heating accounting for approximately 50% of energy used in apartments, and the annual cost of electricity continuing to rise at double-digit rates, the prospect of yet another year's heating season can be daunting. Now add residents into the equation. Ensuring resident comfort and adequate heating levels while responding to frequent fluctuations in outside temperatures can be a challenge. Experience shows that if this balance is not achieved, then some residents resort to opening windows and outside balcony doors as their temperature control mechanism rather than using their in-suite thermostat. Up until now, property owners/managers of electrically heated buildings have had few options available to address the need for responsive temperature control that ensures adequate heating levels, as well as a system that can respond to both appropriate and inappropriate resident behaviours. All that could be done is to watch heating costs and electricity bills soar. 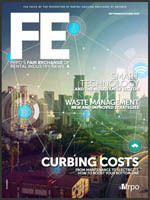 But times are changing... and new technologies are now ensuring that both a cost-effective and resident responsive solution is available. Thermium, by the Canadian company Ecovena, is a combined hardware and software solution that can reduce your electrical heating costs by 20-35% while helping to ensure resident comfort is maintained. Thermium is a Heating Management System for controlling and monitoring the amount of energy made available for heating suites in multi-unit residential buildings. It ensures only the energy required to maintain appropriate in-suite temperatures is in fact provided to each suite. The hardware component of this product is a small box that is easily and innocuously installed in each resident's unit. This box is responsible for proportioning or limiting the amount of energy made available to existing baseboards in a suite. 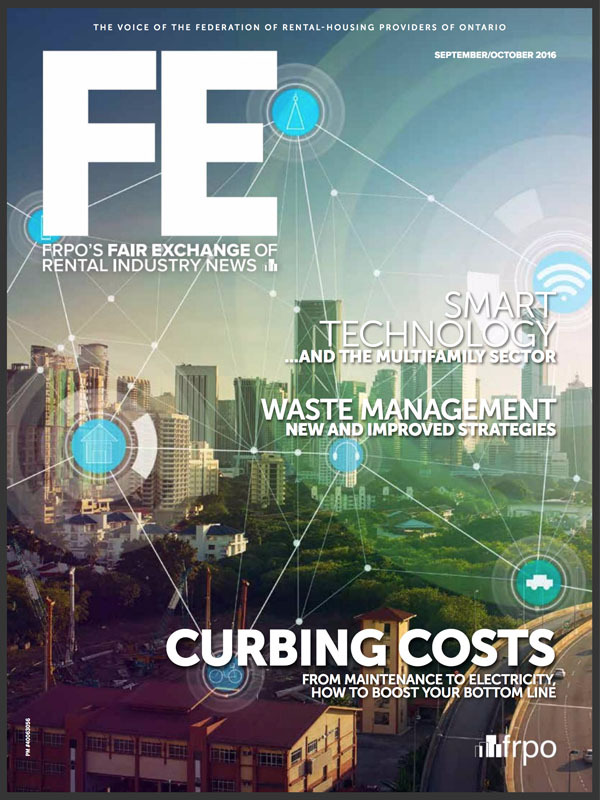 The amount of energy made available is based upon real-time monitoring of outside weather conditions, factors such as a building's design features, as well as Thermium's capacity to learn patterns of acceptable building and resident consumption. While residents continue to control their heating through their existing thermostat, Thermium seamlessly and behind the scenes ensures that excessive energy is not being used. The Thermium Heating Management System also monitors actual usage, alerts to abnormal consumption, provides the mechanism for adjusting energy requirements on a per suite basis to meet specific resident circumstances, and provides property managers and building staff with real-time monitoring tools and reports to manage energy use and the associated heating costs at their buildings. Thermium's integrated monitoring tools provide property managers and/or building staff with the flexibility to be hands-off or if desired to be actively involved in monitoring real-time data on energy use, temperature, and other factors on a per suite, per building or even portfolio-wide basis. Are you looking for ways to reduce heating costs in your electrically heated building? Think this technology sounds interesting? Ecovena's Thermium Heating Management System is currently installed in several thousand suites across Ontario and is being used by Property Managers/Owners including a large Ontario REIT as a sound strategy for managing rising electrical heating costs. With an ROI often under three years and current Government of Ontario Save on Energy Retrofit incentives covering up to 50% of costs (depending upon type of organization), payback often becomes less than two years. 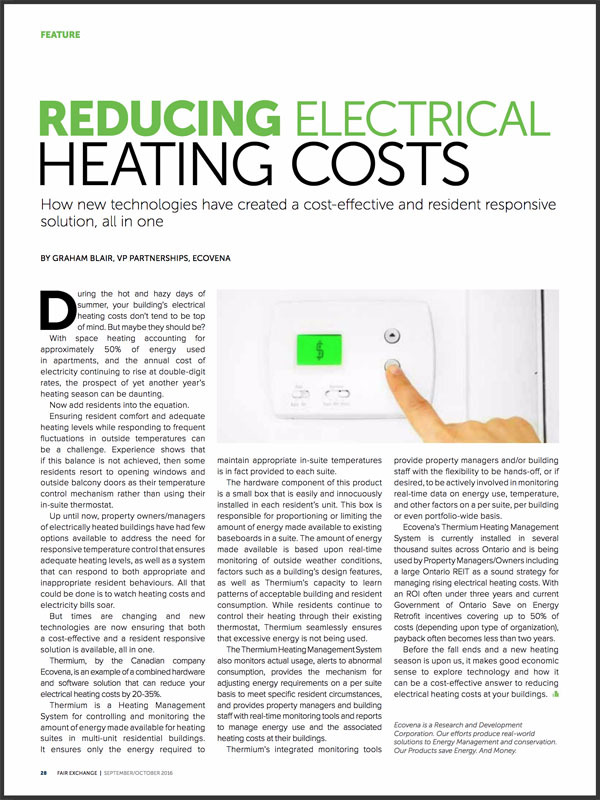 Before the summer ends and a new heating season is upon us, it makes good economic sense to explore if technology can be a cost-effective answer to reducing electrical heating costs at your buildings.